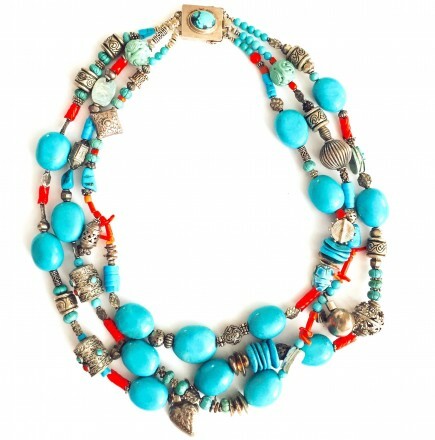 A turquoise and coral necklace by Barbara Goldberg. If Patty Narozny could have followed through with her first career choice, she may well have been an artist. As a 10-year-old living in Detroit, Narozny designed macramé hangers and sold them. She also crafted clay projects — but those were for family and not for sale. At the time of entering college, Narozny’s dad held a business outlook and convinced his daughters to study along those lines. Narozny earned a degree in corporate finance from Wayne State University and soon found work as a comptroller. 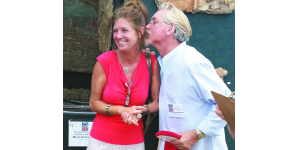 Patty Narozny and sculptor Mauro Pozzobonelle, who passed away this spring. 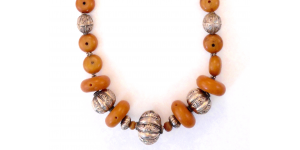 A Goldberg necklace made of African Copal. A booth at the show. 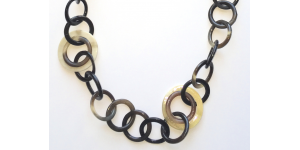 A Goldberg necklace crafted of ethical water buffalo horn. Gradually, she was able to find the next best thing to creating her own artwork. She was hired to plan art fairs for different presenters, including the Detroit Festival of the Arts, before launching her own events. This year, Narozny celebrates her 15th year producing the Orchard Lake Fine Art Show, which runs Saturday-Sunday, July 29-30, on the grounds of West Bloomfield High School. She also produces four other fairs — three in Florida and one in North Carolina. “I like working with the artists and seeing all the beautiful art they bring to our shows,” says Narozny, who oversees the West Bloomfield display featuring nearly 150 professionals with diverse talents in a range of media — paintings, sculptures, ceramics, photography, glass, wood, jewelry and more. Three experienced jurors choose the participating artists and award winners. They are Anne Kuffler, retired owner and director of Ariana Gallery in Royal Oak; Les Slesnick, retired artist and art industry advocate; and Joseph T. Marks, retired curator. Narozny has traveled the country and visited more than 1,000 fairs to get ideas to adapt into her shows. When she notes special artistic approaches, Narozny encourages the artists to apply. Those who are new to the art fair circuit often get tips on arranging their booths. 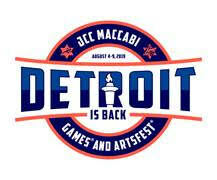 Jewish artists have been among the varied applicants selected. Orna Amrani, who grew up in Israel and moved to Florida, has shown her three-dimensional religious subjects for wall display over a number of years. Barbara Goldberg, in her first time with the West Bloomfield fair, offers necklaces. 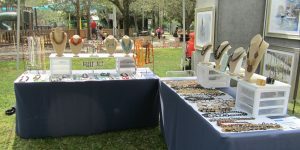 “I like big, bold jewelry,” says Goldberg, who divides her time between Ann Arbor and Florida and is a member of Hadassah, ORT and the Women’s Cultural Alliance of the Jewish Federation of Collier County. 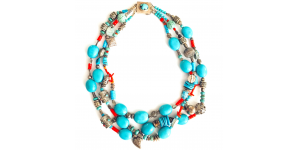 Goldberg, who learned beading from her mother and studied at Stephens College in Missouri, says she has a commitment to bringing the latest trends in American jewelry to a broader audience by making each necklace affordable. Her process involves using a jewelry saw and applying lacquer before putting the pieces together. Narozny doubles down on making sure that each item in her fairs is original and handmade by the artist offering it. She strictly enforces rules to prevent buy/sell/import pieces. “The number of our guests each year ranges between 5,000 and 15,000, and about 60 percent of our artists are new to the show,” Narozny says. “Jewelry and fiber always are the most popular sellers. Professional artists are eligible for monetary awards totaling $2,500; categories are Best of Show, Awards of Merit and Awards of Excellence. The Youth Art Competition is for youngsters between the ages of 5 and 13; they submit art for a total of $250 in cash awards, and all entries are displayed over the entire weekend. To help provide the awards and learning opportunities, Narzony established the nonprofit Institute for the Arts & Education, supported as part of the $5 admission fee for the event. This year will be the first that a professional artist, Amy Ferguson of Auburn Hills, appeared earlier as a student devoted to drawing skills. Visitors who want to watch the award ceremonies can join the prize patrol at 3 p.m. Saturday, when Steven Kaplan, West Bloomfield Township supervisor, will help call attention to the professional achievements. Student awards will be presented at 3 p.m. Sunday. West Bloomfield High School, 4925 Orchard Lake Road. $5 admission; free for those 13 and younger. (248) 684-2613; hotworks.org. 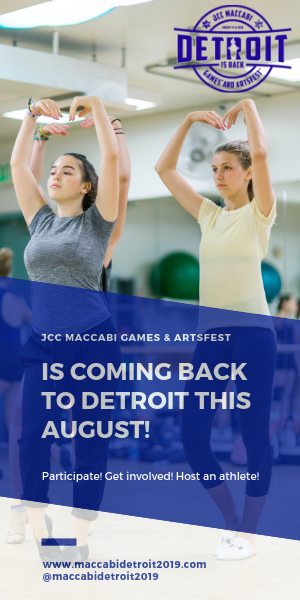 Narozny, who worked at Tastefest for eight years, has arranged for popular food vendors to serve visitors: Noodles from Novi, Yardbirds from Keego Harbor; Iridescence from MotorCity Casino in Detroit and Simply Gourmand Cheesecake from Dryden. “We have a Relaxation Station tent decorated with flowers and set up with tables and a handwashing station,” says Narozny, who also has scheduled different musical entertainment for each day. Soft Caribbean music by the One Love Reggae Band will be featured Saturday; light jazz by the Sheila Landis Trio has been arranged for Sunday.